H.E.A.T. 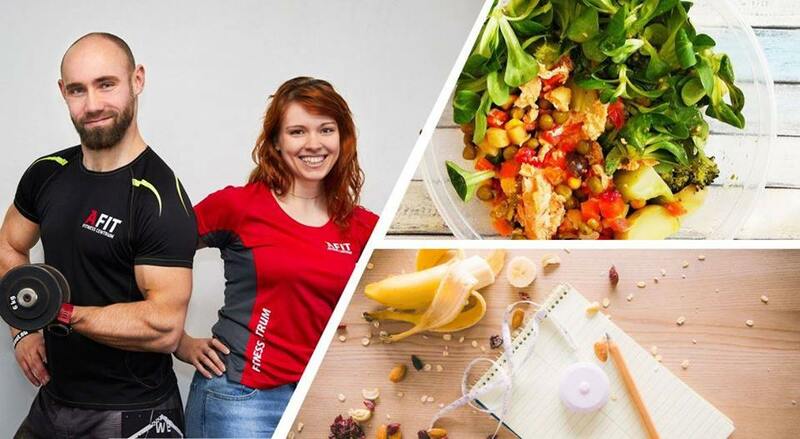 Program® is fun, positive, energizing and makes losing weight easy. All that in 45 minutes and naturally. It is an exercise based on natural human motion – walking. H.E.A.T. is an acronym of four words – High Energy Aerobic Training. H.E.A.T. PROGRAM® is a new system of aerobic training with a large effect on human organism. What are the advantages of the H.E.A.T. Program®? It is a healthy and natural physical exercise which will improve your shape, remove fat and reduce make you rid of stress. Do you know you should walk 10 000 steps each day? In a H.E.A.T program lesson you will walk half the recommended daily dose and burn (at the average) 500 to 700 calories in the process. For whom is the H.E.A.T. Program®? H.E.A.T program is suitable for EVERYONE – not differences. Walking is less demanding than running and doesn’t exert so much pressure on the joints. It has a positive effect on circulation, lowers the risk of cardiovascular disease and optimalizes blood pressure. Here we present you with a short description of the individual lessons we offer to make your selection easier. Classic walking lesson with every technique – short, faster and more dynamic, hills. This type of lesson is suitable both as a beginner- level and advanced exercise. The pace is up to you. We usually walk between 3500 – 5000 steps and burn more than 500kcal. This lessons is tailored for beginners and puts emphasis on mastering the configuration and control of the treadmill and learning basic techniques, mainly walking and trekking. These lessons are prepared so that everyone can handle them. They are usually conducted as “burning lessons”, i.e. most of the time is spent in the aerobic zone, able to take in oxygen in sufficient amount at all time in order to support burning of the fat. This exercise combines walking and complex full body exercises done outside the treadmill. It is best for those who don’t only want to walk, but also work out. Emphasis is put on exercise with own bodyweight supplemented by the use of basic workout aid. The instructor usually divides this lesson into 30 minutes of walking and 20 minutes of workout. Good for both beginners and advanced. This is another workout/walking combo, but this time we put emphasis on exercising the most problematic parts of the body – the abs and the buttocks. The lesson is organized much like the last one – 30 minutes of walking and 20 minutes of workout. You don’t always need a lot of equipment and an exercise room stuffed with machines (even though we have one, of course) for the circuit. H.E.A.T circuit will get you in shape using walking on a treadmill always followed by a workout in exact intervals. This will allow you to burn enough calories and do a full body workout. The lesson is suitable for those who have already had some H.E.A.T. lessons. London, Paris, Cuba, Pustevny or Nové Město na Moravě. Those are just some places where you can join us on a H.E.A.T spoteee lesson. Whether you are beginners or advanced and whatever your goals and targets are, you will love the atmosphere. It’s not just about walking and mastering the techniques, it’s also a pleasant way to relax and take a walk around more than a hundred places – both where you live and worldwide – using a widescreen projection. This patented device has no competition in the world of fitness. 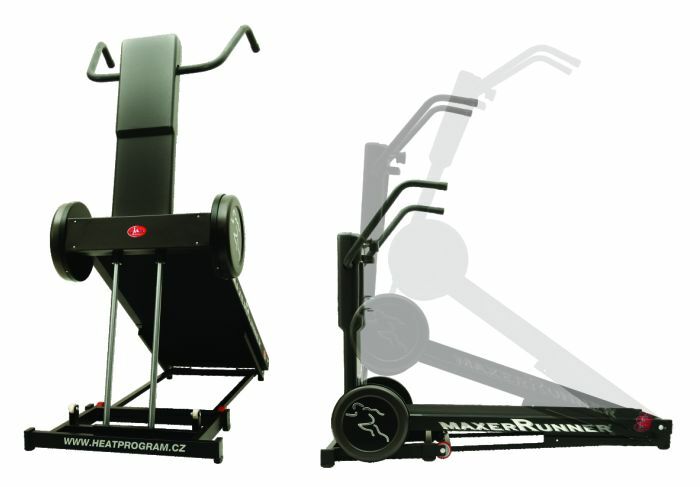 The MAXERRUNNER treadmill is the only treadmill in the world that can change its tilt during the lesson. Thanks to its patented technology, the client can individually configure the device according to his exact needs. It also has extreme variability which allows it to copy real terrain extremely well. We can’t omit another aspect of the patent – small rollers under the desk, creating a slippery surface with very low friction. This also copies outdoor conditions – we don’t feel any resistance from the machine itself, just a real copy of actual walking in an indoor environment. MAXERRUNER is sometimes considered to be a motoric laboratory by the experts. It’s constructed to copy the outdors and create the ideal surface for natural walking. student prices apply only to day study students younger than 26 years after submiting proof of study, “senior” means older than 65 years. Pricelist is valid starting Semptember 1 2018. Multi and season tickets are transferable. Opening hours during Easter, Thursday, April 18, unchanged, Friday, April 19 to Monday, April 22, closed. Schedule of sport activities valid from April 1, 2019, we add new HIIT TRX lesson at 6:30 am on Monday, come to build muscle strenght before work and start your active week with us. Schedule of sport activities from 1st March 2019, change of lecturer on Wednesday’s lesson H.E.A.T. Lesson at 4PM will lead Tereza Auermüllerová. Schedule of sport activities from 1st February 2019, change of Sunday lesson H.E.A.T. Spoteee to H.E.A.T. with strengthening.